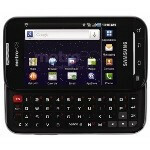 MetroPCS and Sammy just announced the Samsung Galaxy Indulge - the first Android handset with LTE radio. The 4G QWERTY slider is running Froyo, and the rest of the specs are ho-hum - 3.5" screen with 320x480 pixels of resolution, Swype support, and a 3MP camera, but 1GHz Hummingbird chipset, which should make it pretty fast. The phone retails for $399, but don't forget you don't need annual contracts with MetroPCS. This is the local carrier's second LTE phone. The Samsung Craft was the first LTE phone in the US, whereas MetroPCS is now outing the first Android LTE phone in America. Not that you will switch to their $60 all-unlimited plan for that reason only, but it's always nice to have bragging rights for a few months. 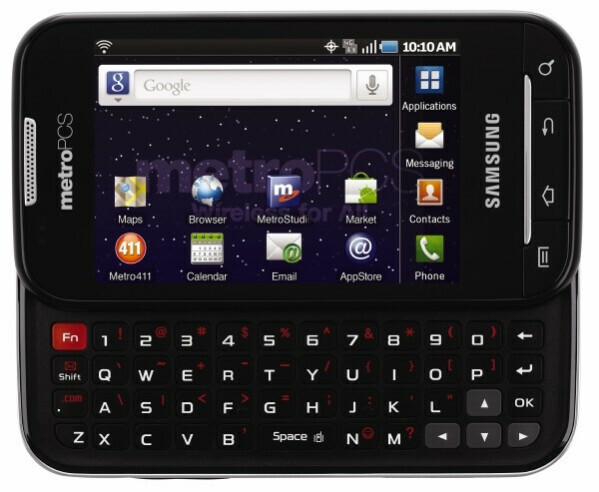 The press release states that the Samsung Galaxy Indulge is coming with a 4GB microSD card, on which the movie "Iron Man 2" is preloaded, but the MetroPCS site states the card is 2GB, so go figure. The bad news is that the 4G LTE radio is obviously a battery hog, since even with this mid-range screen and 1500mAh battery, the talk time is quoted as mere 3 hours. A mere 3 hours.... Ok.... How many people will actually you this phone to talk for more than 3 hours straight. What I care about in this phone is the tech. IE how long I can use it for browsing and apps. if it can only talk for 3hrs, which keeps the screen off and the data radio without use, actual web/app time is going to be really short. most phones say 5-8 hr talk time and barely last a day. so basically, you might ALMOST make it through 1 movie.. lol. Run Neocore... 90FPS... not so Ho hom now huh? If your going to talk a long time turn off the LTE Radio. I'm sure there will be a after market extended battery for a decent price on eBay soon. Whats up with the 3.2 mp camera? it should be 3mp front and 8mp rear. My Samsung A990 from 2006 has a 3.2 mp camera, talk about old technology, what really pisses me off is the Samsungs in Europe are way more advanced then ours i.e. Samsung Omnia U.S. - 5mp rear camera, no front camera. Samsung Omnia EU. 8mp rear camera, and a front camera, the phones are Identical (besides the main board & chipset). This is just 1 example, all the phones are that way wtf. Conclusion: The phone is marketed as high tech but is still an average phone with LTE and Android 2.2. Only thing that is not really impressive is the fact that it only has a 3MP camera and no AMOLED or SAMOLED screen. The physical keyboard looks like the Epic, but with 4 rows instead of 5, and the screen size is good but could use higher resolution. The specs may not be THAT impressive, however for MetroPCS standards, that's a powerful device. I have friends on Metro, and they'd be excited as heck over this thing. all you that are bitching about the specs of the phone. do you stop and think about what carrier this is for??? hello THIS IS FOR METRO PCS!!!!! idgets. the phone is 300 FULL RETAIL, do u think its going to have specs that match the Atrix??? No, its a mid level phone with cheap parts to keep the cost down. Its draw is no contract Android 2.2 and LTE for 60 bux a month... something VZW can never touch. Not every phone needs to be the next high end benchmark. now i feel dirty for defending metro PCS.. lol. thanks. @leo 5632 , dude shut up like really you dont sound like you have a decent enough job to afford this phone with metro , you can't type and your text sounds like crap and makes you sound childish and uneducated step your game up , what you work at McDonalds ? Does the samsung galaxy have a front camera?